Removable prosthetics involve any sort of tooth replacement appliance that is intended to be removed. These are often made for patients who are not good candidates for either IMPLANTS or FIXED PROSTHETICS. Below is a photo of a person missing teeth on the upper right side. They were replaced with a partial denture, made with valplast/gum colored clasps, which are barely noticible. Livionex dental gel has been shown to actively reduce plaque and calculus. FULL DENTURES: (The terms "full dentures" and "dental plates" will be used interchangiblly) are intended to replace all the teeth in a given arch. They are placed when either all the teeth are missing or the teeth present are not strong enough, not numerous enough, or not positioned well enough to support a ﻿PARTIAL denture (see below)﻿. UPPER dental plates often will stay in without any adhesive, but lower dental plates do not function quite as nicely. There is often a nice ridge, and the palate does provide a nice suction to help keep it in place. LOWER DENTURES are a very different. Your tongue, cheek, and lips, unfortunately all work to dislodge your lower denture. Also, your lower ridge is usually much smaller than your upper, which gives the denture less to hold onto. IMMEDIATE DENTURE DENTAL PLATES: This is when any number of teeth are extracted and the denture is placed at the same appointment. It is usually recommended to keep the denture in overnight, and you will usually need to see your provider the next day. The main benefit of the IMMEDIATE DENTURE is you do not go without teeth for any length of time. The main drawback is because the lab is “guessing” what your ridge will look like after the teeth are extracted, it most likely will not fit very well at first. After the gums have completely healed, the denture can be either remade or religned to fit better, but the healing process can take over 6 months. Because the healing process takes so long, the first few months will be very difficult. Your gums will constantly be remodeling under the denture, so it will likely move around a lot. Along with the denture not fitting well, it also takes some time to get used to speaking and eating with it. Rest assured though, after the healing process is complete and the denture is religned, most people are able to eat just about anything, and speak without anyone knowing they are wearing a denture. Contrary to what you may think as well, the esthetics of dentures can be remarkably better than your natural teeth. OVERDENTURE DENTAL PLATES: Instead of extracting all the teeth, sometimes roots (that have been root canaled) are left in the mouth and the denture is placed over them. This helps to maintain the bone and sometimes they can be used to help aid in retention, or keeping the denture in place.One key… brush the overdenture teeth like any other teeth. They may not look like much, but they still can get decay and abscess like any other teeth! IMPLANT RETAINED DENTAL PLATES: Implants can be placed to aid in retaining a denture. The obvious drawback is the price, since implants often times cost several thousand dollars each. The dentures will be much more secure than a standard denture since it is will have something to attach to. Partial dentures are intended to work with any remaining natural teeth to replace the missing teeth. Think of a retainer with teeth added on. These can be made with all acrylic, or with a metal framework. The design depends on a lot of factors, such as how many and where the remaining teeth are located, how strong they are, and what is on the opposing arch. Below is an example of how partial dentures can replace multiple missing teeth, and can be made to be look very natural. HOW DOES PERIODONTAL DISEASE RELATE? If you have moderate to severe periodontal disease, you probably are not a good candidate for fixed prosthetics, and will likely need removable prosthetics. METAL FRAMEWORK partials are one of the most common types of partials, and very successful. They are constructed of a metal framework, with the necessary areas covered with denture teeth and gum colored acrylic. There will usually be 2 or more metal clasps that hook onto the teeth to aid in retention. These can be tightened or loosened depending on patient preference. Because these are metal, they are sometimes an esthetic concern. A few teeth may need to have rests prepared, which allow the framework to seat on the teeth and distribute forces properly. Rest preps are done without anesthetic, and are like little dimples. VALPLAST partials are made of a flexible type of acrylic, which is a more esthetic option than the metal framework partials. They do not have a metal framework, which improves esthetics, but because the clasps are acrylic and not metal, they cannot be adjusted. This makes it more difficult to get an ideal fit, and because it cannot be adjusted, it may not stay in as well as one with metal clasps, which can be tightened as needed. This patient has a valplast partial below, with a metal framework which doesn't show. ACRYLIC PARTIALS are partials that are made entirely of acrylic. They are not as strong as the metal ones, so they do break more easily. Like the metal framework partials, they also usually have retaining clasps that hook onto the teeth. Also, they are usually less expensive. Flippers technically just replace 1 tooth. Upper temporary partials replace 5+ teeth. Below is any acrylic temporary partial denture. ADDING TEETH: If additional teeth are lost after a partial is made, most of the time additional denture teeth can be added to the either type of partial. REPAIRS: If teeth break off or the partial breaks somehow, they can normally be repaired, although you will need to leave it with your dentist (who sends it to a lab) for a period of time in order for the repair to be done properly. WHAT DETERMINES WHETHER A METAL FRAMEWORK OR ACRYLIC PARTIAL IS MADE? As mentioned before, there are many factors, but the main one is probably the PERIODONTAL status of the remaining teeth. If the teeth are not stable, most likely an acrylic partial will be made. If the teeth are stable, both options will probably apply. Snap On Smile is a way to quickly and easily attain the smile that you want. It is a thin, acrylic type material that fits directly over your teeth that can fill spaces, replace missing teeth, whiten, and brighten your smile. It is not bonded to your teeth so it is removable, but unlike conventional partial dentures, there are no claps, no metal, and they do not cover the roof or your mouth or other areas besides your teeth. This allows you to speak properly and maintain your tasting ability, both of which are common complaints with conventional removable partial dentures. On the other hand, you can eat with them and they are designed to not change your bite, but they likely still will require an adjustment period. ADJUSTMENTS: Whenever a NEW denture or partial denture is placed, PLAN on it needing some adjustments. Some dentures require very little adjusting, some require many appointments. SORE SPOTS: If you are getting sore spots or ulcers on your gum, cheek, or whatever because the denture is rubbing on it, it needs to be adjusted. DENTURE CARE: In general, it is recommended to REMOVE all appliances when you sleep. This allows the gums to “breathe” and helps prevent them from getting fungal infections and other sorts of maladies. Companies like Polident and Fixodent make tablets that you can use to soak both dentures and partials in to help clean. There are different tablets for dentures vs metal partials because the metal can corrode with the wrong tablets. Dentures and dental plates are very common sources of candidiasis or fungal infections, so it is very important to keep them clean, and some dentists recommend getting a new set every 5 years or so. Getting dentures can be very traumatic and is a big adjustment to natural teeth, so it is very important to be patient and have reasonable expectations. They also make special brushes to use on dentures or partials. How do you like your dentures? Do you like your dentures, hate them? Do you have implants to support them, was it worth it? 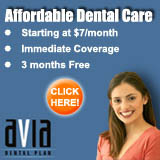 Hi I am wondering to get a tooth replacement with no palate? Getting a new set and excited!!! Need help finding a good denturist Scared. Anyone know of a good one in my area?